Συντάκτης: dikaiopolis , ημέρα Κυριακή, 28 Ιανουαρίου 2018 και ώρα 2:51 μ.μ. "The countdown has begun for Turkey's operation against Afrin," said one pro-government channel. "We will get rid of terror nests one-by-one in Syria starting with Afrin and Manbij," he said. Mr Erdogan's announcement follows the US decision to form a 30,000-strong border security force predominantly made up of Kurdish YPG fighters, whom Ankara regards as a national security threat and an off-shoot of the militant group PKK that has waged a war in the southeast of Turkey for over three decades. 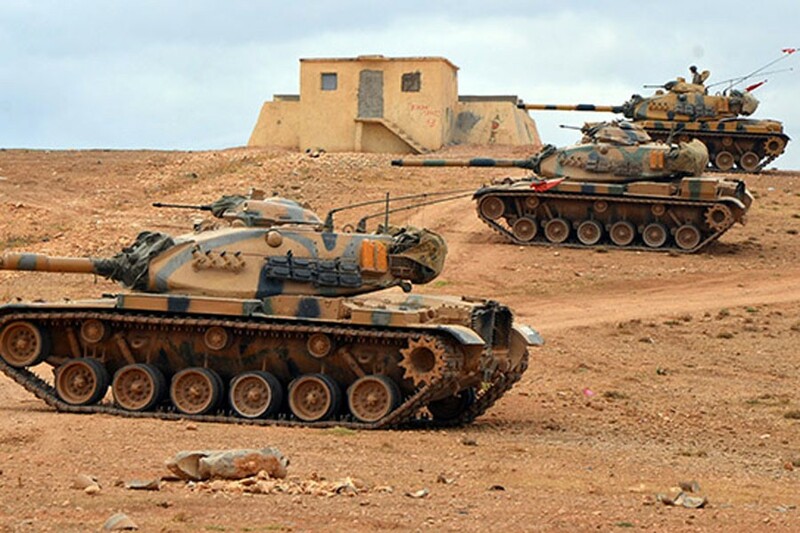 "The Euphrates Shield Operation started in a climate when a few months earlier a Russian jet was downed by Turkey, when US co-operation with YPG forces was growing stronger and when Ankara increasingly felt it was pushed out of the game in northern Syria," says Metin Gurcan, a military expert. "Thanks to Euphrates Shield, Turkey was able to get back in the Syria game. The timing of the operation on Afrin should be treated the same way. Ankara now feels increasingly cornered. Kurdish-held Afrin enclave lies in the north-west of Syria, alongside the Turkish border. It is separated from the other Kurdish-controlled areas in northern Syria. One of Turkey's main concerns is to prevent the establishment of a "Kurdish corridor" along its border. "If the US really forms such a border force, then there will be a totally different equation in Syria," says Ahmet Kasim Han, an academic on international relations. "This would point to a process that could potentially end with the forming of a YPG-PKK state in the north of Syria. Washington should have known that Turkey would react." "Russia has to open its air space for this operation. Otherwise it might be very costly. "Also, there are around 300 Russian soldiers in Afrin. If Russia gives a green light, then Turkish forces could clear out Afrin in one day. Otherwise, it could turn into a nightmare," he says. Ahmet Kasim Han agrees that an operation without Russia's approval would be very costly for Turkey. But he thinks Moscow's approval could have very serious consequences as well. "In the unlikely event of Turkey reaching an agreement with Russia, along with a tacit approval of the Syrian regime, then that would mean a watershed event in Turkey's relations not only with Russia but also with the West," Mr Han says. "If Turkey's foreign policy moves closer to Russia as such, we could probably start talking of a new world order and a whole new relationship between Nato and Turkey," he says.